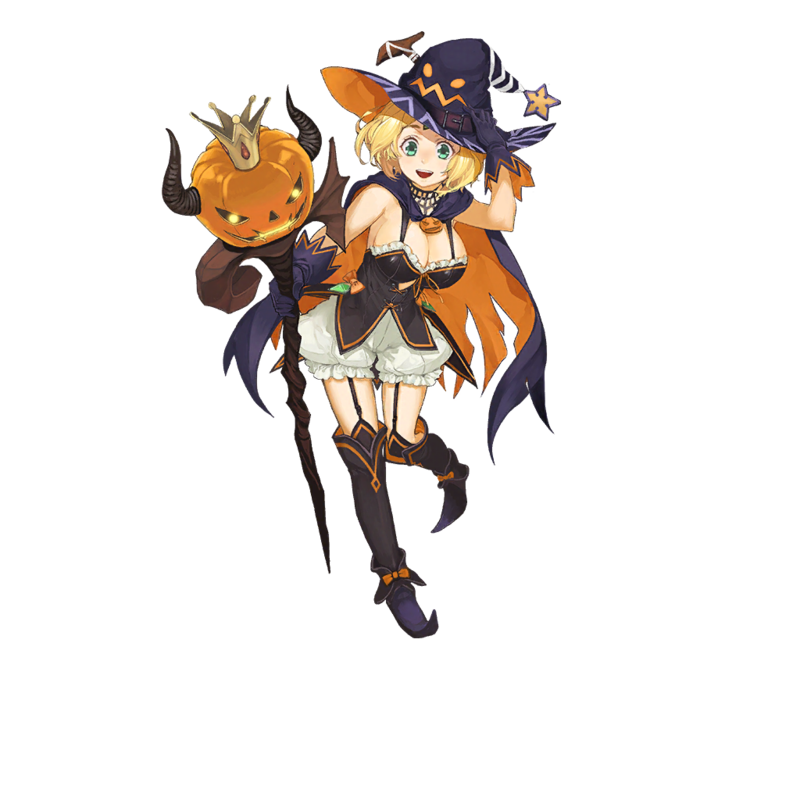 Normally she cares for the golden apples which give Aesir their power, but today she's dressed up for some spookin'! HP 10% up for 3 turns & restore 30% of max HP to 3 of your heroes with the lowest HP. 20% of average of ATK and MATK as Earth damage to all enemies 10 times. Restore 10% of max HP to all allied heroes. HP 17-30% up for 2 turns to your hero with lowest HP .